Hello Friends 😀 Mayline here today. Do you like decorating your wall with photo frames? Today’s card was inspired by wall photo decor ideas as you can see from the images below. The wall gallerytrend is still going strong. 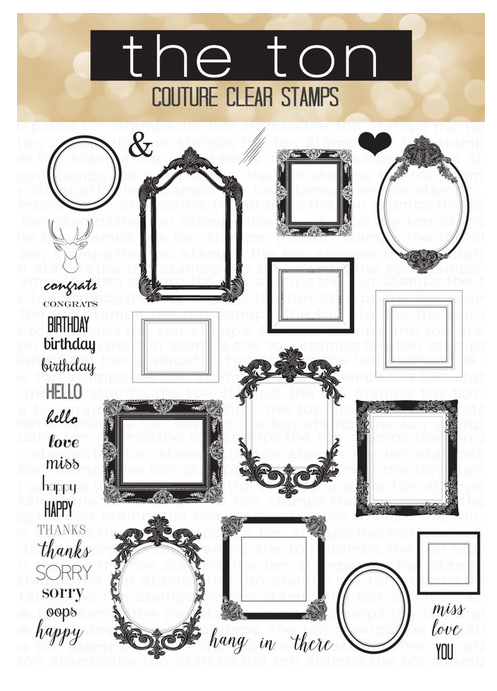 The Ton has an awesome stamp set for this wall decor concept – it’s Vintage Frames stamp set. There are many different style of frames so you can create antique style and/or modern & simple style. 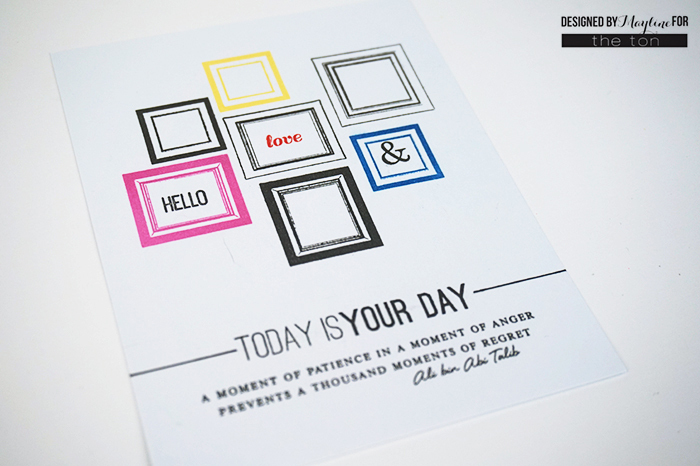 For my card today, I only used the simple square frames found in the set. 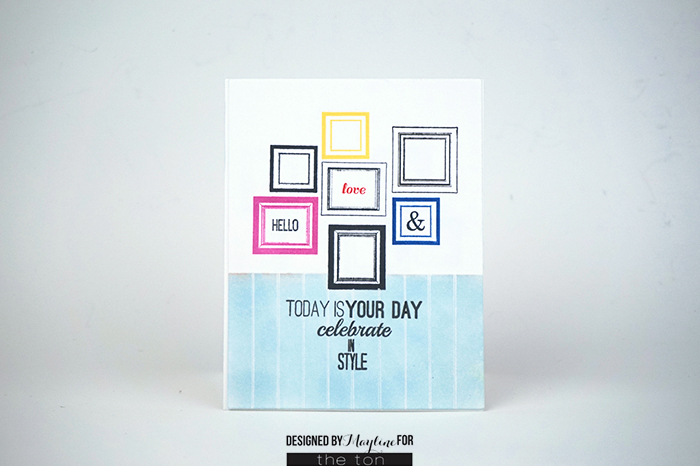 Here is one-layer cards that I made with Vintage Frames stamp set. I used the sentiment from Shoe Wardrobe Lined stamp set (Today is your day) and also the Sentiments & Quotes stamp set from Altenew (a quote at the bottom) . Here are some more cards with similar layouts. The only difference is the bottom portion of the card where I changed up the design. Sometimes it’s hard to select only one card to post but they’re all slightly different. It happens to me quite often that while I’m making cards, I come up with different variations of the card. So whatever ideas I have, I just roll with it!. This time I have 4 similar designs but I cannot decide which one is the best. For me, if the whole design or layout is totally different, it’s easier to choose. However slightly different designs are harder for me to choose a fave. Which one do you like? I hope you enjoyed my cards. I’ll see you next week! Birthday Shoes and some exciting news! !